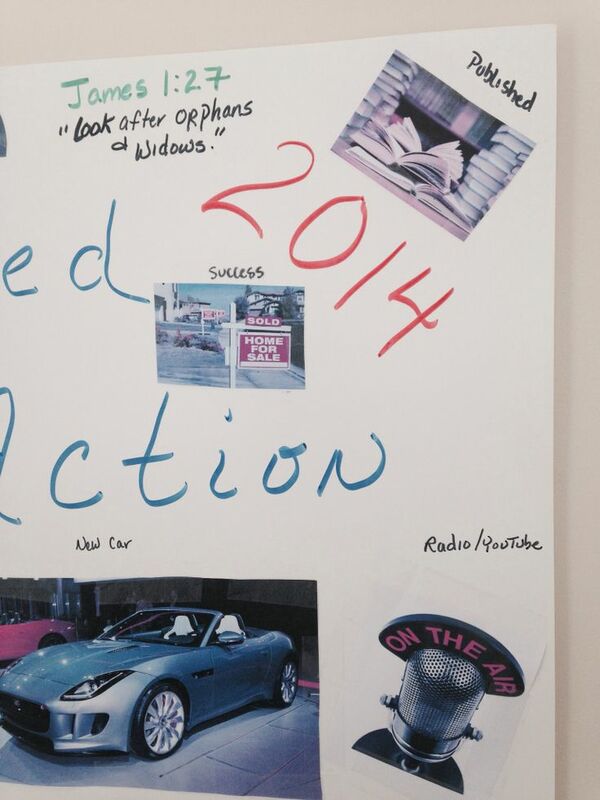 This is a picture of the vision board in its whole. This is the left side of the board. As you can see I’m done with my vision board. I will explain what each item means. There is not much but it is a very meaningful board. The right side of the board has books, a sold sign, a bible verse,a radio show type of microphone, and a car. The meaning? Sometimes it may not be exactly what it seems; but I think in this case the pictures tell the story! The books? I want to be published but beyond that I want my books to be valuable and impact lives. The sold sign? In my real estate career I want to be successful. I want to close on many homes for many families! The bible verse? I strive to live my life in such a way as to be walking in Jesus’ footsteps. This verse helps me to remember that! The entire verse reads “Religion that God our Father accepts as pure and faultless is this: to look after orphans and widows in their distress and to keep oneself from being polluted by the world.” Microphone? I want to start either a Youtube channel or radio show on the subjects that I write about. The car? Yes…I would like a new car. 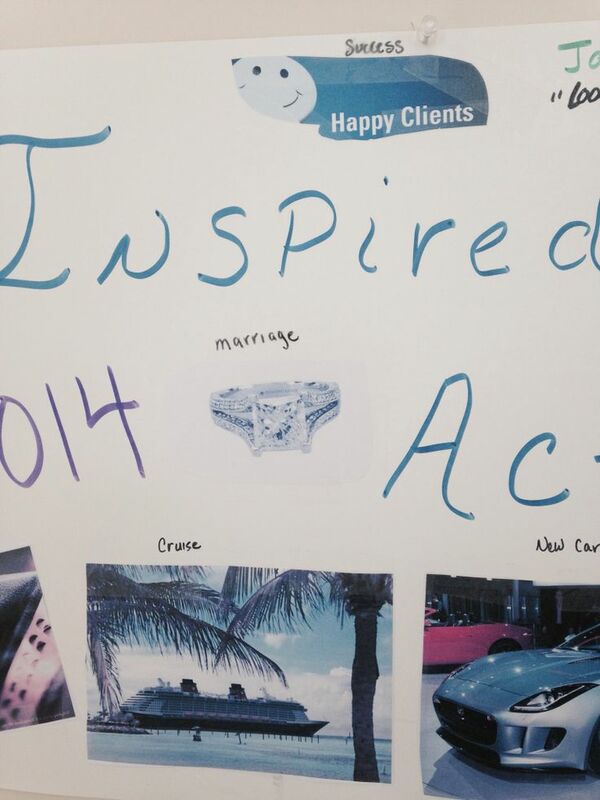 The middle part shows “happy clients”, a ring, and a cruise ship. The happy clients is just that! I want to have happy clients in both of my chosen fields; writing and real estate. I want to far exceed all expectations…give them more than their moneys worth! The ring? That is a symbol for my marriage. 2013 brought many challenges to our marriage, things have happened that need healing. The ring is a symbol that our marriage will be healthy (and sure…I wouldn’t mind a new diamond! ) The cruise ship? Simple…I want to cruise! I love cruising and wish to do so this year. 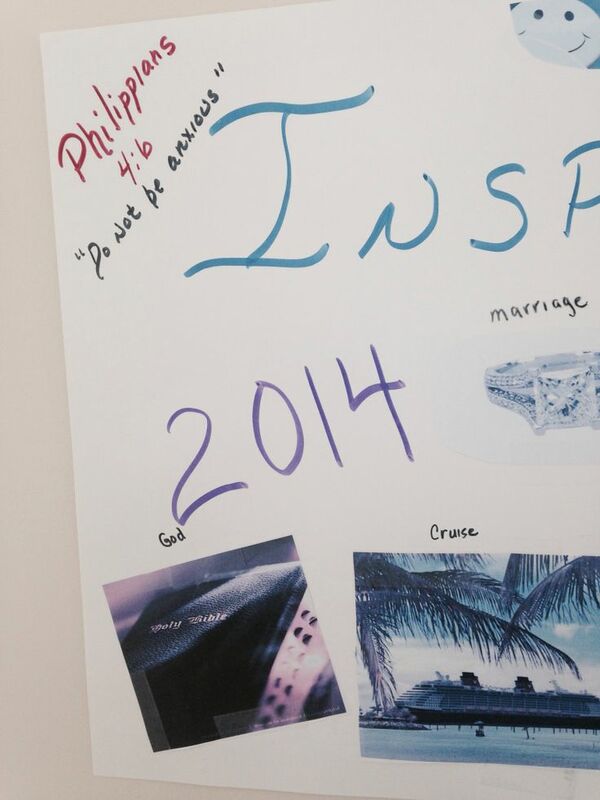 The left side of the board shows A bible verse and a bible. The verse? This is my favorite verse and is always on my vision boards. The entire verse reads “Do not be anxious about anything, but in every situation, by prayer and petition, with thanksgiving, present your requests to God.” I recite this verse as a prayer. It reminds me to let go and let God have it all! The Bible? I want to stay in the Word and make sure it is a lamp unto my feet, a light unto my path! So there you have it! 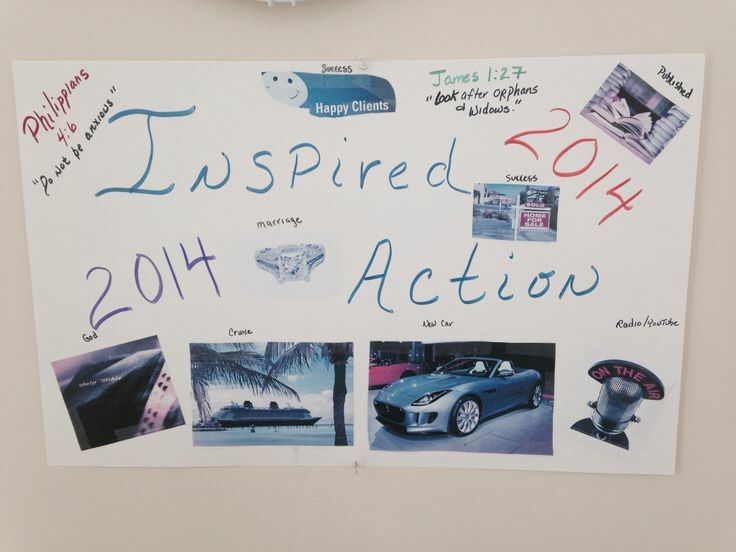 My 2014 Vision Board! It is meaningful to me; maybe more so than any other year. Yes, I would say more so. 2014 is bringing much change to our lives; hopefully good, but definitely change. I hope to achieve all that I desire and am willing to work for it. It is amazing when I think about what happened to me in 2013! These things that happened directly challenged everything I believe in and write about. The journey is not over but God has given me what I need to be an authority on forgiveness, unconditional love, and gratitude! And if you want to know what I am talking about you will have to continue reading! Great idea – hope this inspires others to do the same! Thank you Ellie! I appreciate your encouraging words!